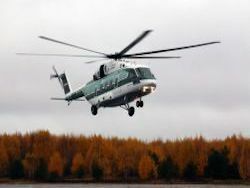 In July through the Kerch Strait helicopter passenger traffic will start to be carried out, reports TASS. 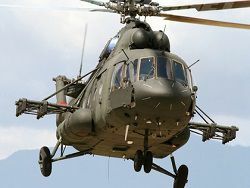 The means of transport alternative to sea vessels the Mi-2 helicopter can deliver passengers from the port Caucasus to Kerch in only seven minutes, the general director of the airline which have planned flights Ruslan Panzhokov reported. According to him, now the organization passes necessary coordination. 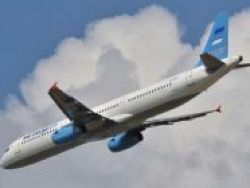 "Flights we will carry out according to preliminary applications of passengers and under suitable weather conditions. 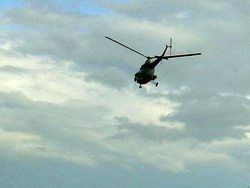 The helicopter calculated on eight passengers, can fly over the passage at a wind force to 18 m/s", – the representative of the company noted. 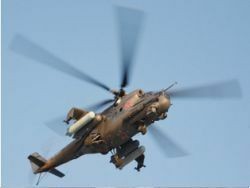 Organizers of the helicopter message with the Crimea assure that cost of flight will be available. 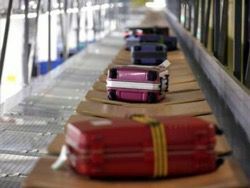 The declared price for flight through the passage nevertheless in 10 times is more expensive than travel on the ferry. The tariff for transportation of passengers through the Kerch crossing in one party makes 162 rubles. "Turns on a crossing now, despite a resort season, practically are not present. New service, most likely, will be interesting to tourists as excursion", – commented on an initiative of businessmen in Sea management. 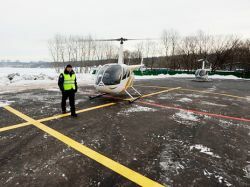 According to dispatching service of management, in the port Caucasus in the morning on Wednesday loading on the ferry expected no more than 10 cars, 10 "Gazelles" and 15 trucks. From the Crimea 10 cars and 15 waggons stood in a queue. Let’s remind, a ferry through the Kerch Strait – the main transport artery connecting the Crimea with continental Russia therefore traffic jams and expectations of loading of cars lasting many hours on the ferry here are habitual. Ferries use for a crossing both cargo, and automobile cars. By the end of 2018 it is planned to construct and place in operation the new bridge through the Kerch Strait. The bridge will have on two lanes in each party for motor transport, and also the two-acceptable railway, its construction will be conducted at the same time with several points for process acceleration. Now on a place of future construction a preparatory work is carried out.